Herbal medicine is the use of whole plant extracts to help treat the symptoms and causes of ill-health. It was the main form of health care in Europe until the advent of pharmaceutical drugs. There is evidence of plants being used as medicine dating back thousands of years, and in many parts of the world people still largely depend on medicinal plants. Modern herbal medicine combines traditional knowledge and practice with scientific research into the therapeutic effects of plant medicine. I trained in Western Herbal Medicine for four years, graduating with a BSc in Herbal Medicine, and was given an award for best final year student. My training included orthodox medical skills, clinical practice and a detailed knowledge of medicinal plants. I have been in practice for over six years, and have gained a wealth of experience in helping people with a wide range of both acute and long-term illness. Neal’s Yard in Bath has a wide range of medicinal tinctures and dried herbs, which can be dispensed in the shop. If you are looking for help with specific symptoms, you can have a short chat with me in private, and where possible I can write a prescription for you. If your condition is more complex I advise a consultation. If you are taking prescribed drugs, I choose herbs which do not interact with your medication. For more than twenty years I have been committed to homeopathy, holistic treatments and healing philosophies. I offer an integrated treatment model for adults and children, which includes classical homeopathy as well as natural self-care methods. I teach and facilitate these methods individually tailored to the needs of my homeopathic clients, including alkaline bathing, fasting, colon cleanse and others. I know from my own experience that our health is not so easy to manage in the context of our culture and stressful lifestyles. I admire the developments of conventional medicine that deal with acute and life-threatening matters but I never really believed that it can offer a progressive healing perspective for chronic disease and the management of physical health as well as mental, emotional and spiritual well-being. In my experience, healing occurs when real changes happen within us and life is redirected along the tracks we were supposed to follow. Health means flexibility and adaptability on every level. We are not mechanical objects which can be repaired by a mere adjustment or replacement of parts – we are whole and thus need to heal in an integrated way. I believe that, alongside the homeopathic treatment, sometimes a few very simple steps can free up blockages that prevent our organism from getting onto the road to good health. My endeavour is to aid each client to find the path back to their intrinsic health – a model which encourages you to own your responsibility for what goes on in your body and processes of consciousness. I studied homeopathy at the School of Homeopathy in Devon from 1998-2003. Alongside my studies of classical homeopathy, my training included anatomy and physiology, pathology and disease. From 2004-07 I took part in a three-year postgraduate course in Bologna, Italy, with Massimo Mangialavori MD, whose work on the body mind connection greatly enriched my skills. I practised homeopathy and taught at the International School of Homeopathy in London and also online with students in Japan. I have studied mindfulness and meditation, both through reading widely and in seminars and online courses, with Thomas Hübl, a modern mystic and spiritual teacher, and others. I study and practise fasting and detox protocols on a regular basis and follow particularly the protocols of Rüdiger Dahlke MD and Alexandra Stross, among others. I am so looking forward to working with you and to exploring together what it is you really need at this point in time! Lucy works with various naturopathic therapies to help get your body back into balance. Naturopathy is a very holistic therapy as all aspects of a person are considered, including the emotional, mental and physical. Lucy graduated from the University of Westminster with a first-class honours degree in Naturopathy in 2010. 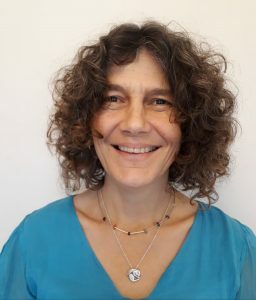 As part of her studies she learnt about naturopathic nutrition, detoxing and cleansing, therapeutic massage, lymphatic cleansing, naturopathic hydrotherapy, BachFlower remedies and other fascinating natural health knowledge that everyone should know about! Lucy has always been interested in complementary medicine, particularly the effects food can have on mood. She discovered Naturopathy when living in Australia in her mid-20s and a few years later took the plunge into returning to university and retraining. 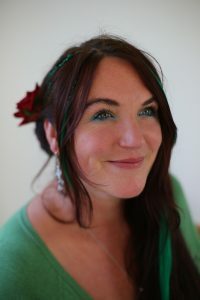 She is also a Reiki level 2 practitioner which she incorporates into her naturopathic practice. Her approach in practice is very holistic, exploring the mental/emotional, physical and biochemical aspects of a person and how this will be affecting their health. Her treatment plans are based on this holistic approach and she really enjoys working with her patients to encourage them to make the changes that are achievable for them. Lucy is registered with the General Council and Register of Naturopaths and is fully insured to practice. She is currently studying for a Masters in Nutritional Therapy and hopes to have her MSc by 2016. Restoring a healthy balance with the healing properties of plants. Herbalism is the practise of using the chemistry of plants to support our body’s natural healing processes. Although medical herbalism is firmly rooted in western medical tradition, modern herbalism also has thousands of clinical trials to back up the traditional use of herbs as medicine. As herbalists, we are trained in the same diagnostic skills as orthodox doctors. We may prescribe herbs for specific effects on the body or as support for the bodies natural healing process. For many, the first visit to a medical herbalist can be a life changing experience, a chance to experience true healthcare as it should be practised. Many come to appreciate the power of correctly prescribed, natural herbal medicines dispensed by a highly trained medical professional. Herbalists are trained in verbal and none verbal cues to give clues as to what is going on on a deeper level with their patients. My patients are often amazed and relieved at the opportunity to discuss, in depth, their physical, emotional and spiritual wellbeing. This can impart a sense of freedom and empowerment to the individual which, combined with the knowledge of the experienced herbalist, offers security and knowledge that you are receiving the best attention for your healing needs. The results then speak for themselves. During your first full consultation I take a detailed medical history, covering not only your current complaint and medications, allergies and family history but also your diet and lifestyle. Physical examinations may be necessary including blood pressure, pulse and if needed urine and blood samples may be required. I will then make a working diagnosis based on the findings and where necessary, may make a referral. A programme of herbal treatment is then discussed and agreed with the patient, including an indication of how long the treatment period may be, and the level of treatment required. An individually designed herbal prescription is then formulated and dispensed with appropriate instructions. I also offer a free 15 minutes appointment for first aid and minor ailments or as a way of finding out if herbal medicine is for you. I am committed to herbal medicine, holistic health and supporting our body’s innate ability to heal. In consultations I work in a holistic way. I build an integrated, personal health picture and treatment plan incorporating information on diet and life style, mental wellbeing, medical history and a full enquiry into physical symptoms. A core principal of healing and well being is recognised here as the importance of owning responsibility for our own body and our own health; my endeavour is to support the individual in finding their path back to this intrinsic health. My formal training in herbal medicine has followed from a near lifelong interest in the relationship between plants and herbal healing. My decision to undertake formal training came after 15 years as a teacher. I specialised in teaching Food Studies, Health and Well Being, predominantly to pupils with Special Educational Needs, including several years teaching within a Steiner based, Camphill Community. Understanding nutrition was central to my teaching and continues to guide my current herbal practise. I undertook my herbal medicine training at Lincoln University. While the course was rooted in the practice of Western Herbal Medicine, it did incorporate extensive investigation of other healing traditions including Traditional Chinese Medicine and the Ayurvedic practice. I have been fully qualified now for two years. In addition to consultation work at Neil’s Yard, I run herbal medicine making workshops, herb identification walks and make and sell my own range of herbal products.